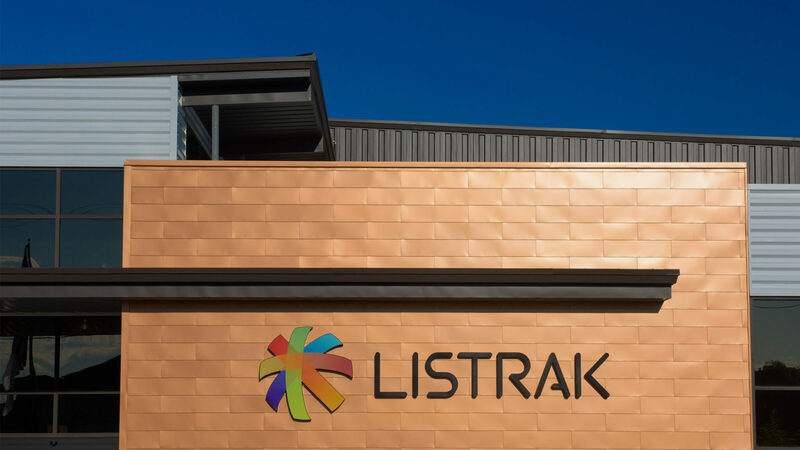 Listrak’s global headquarters demonstrates the omni-channel marketing company’s risk-embracing core values as an industry innovator desiring to create a nurturing environment for its creative, young staff. With an expanding global presence and the need to have various operations underneath a single roof, the leadership expressed the primary need for centralization and functional efficiency housed within a new facility capable of demonstrating its commitment to innovation and its growing staff of entrepreneurial software developers, salespeople, and product managers. Listrak’s CEO, Ross Kramer, took a page from Facebook and decided a single-story complex would be best—in order to increase efficiency and collaboration as well as consolidate Listrak’s five separate offices into one. Efforts included interior design direction and coordination of the various contributing engineering and construction entities. The 27-acre piece of land and the 110,000 square foot sprawling structure includes several dozen private offices, more than 500 workstations, and 43 conference and meeting room—arranged to promote interaction and invention. Envisioned as a series of interlocking, sloping roof planes enveloping the various departments within, the planning scheme placed all public function spaces along a central, two-level concourse. Daylight was brought deep into the space by employing diffused daylight through translucent fiberglass roof monitors along the canted interlocking planes. The concourse facilitates team interaction as it houses open lounges, break areas, restrooms, meeting areas, and two restaurants located in the central common areas. engaging a local food vendor to provide healthy and affordable dining options within the facility for staff members, clients, and visitors. The facility also includes a fitness center, meditation spaces, walking/running trails, and gardens.